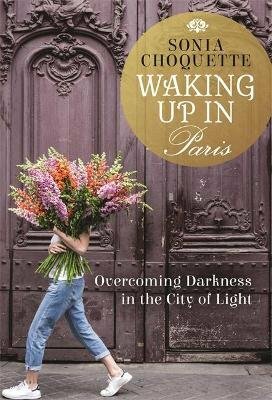 Devastated by the unexpected end of her decades-long marriage, renowned spiritual teacher and intuitive guide Sonia Choquette undertook an equally unexpected move and relocated to Paris, the scene of many happy memories from her life as a student and young mother. Arriving in the aftermath of the Charlie Hebdo massacre, she found a Paris as traumatised by this unforeseen event as she had been by her divorce. Together, over the following years, she and the city she loves began a journey of healing that involved deep soul-searching and acceptance of a new, sometimes uncomfortable, reality. In this follow-up to Walking Home, Sonia shares her intimate thoughts and fears, as well as the unique challenges of setting up a new life in a foreign land. From moving into a freezing, malodorous apartment, to a more pleasant - yet haunted - flat across the Seine, to her current light-filled home, Sonia shares how these changes parallel her inner transformation. Along the way, Sonia regales readers with vivid stories of her unfortunate encounters with French hairdressers and beauticians, her adventures in French fashion and her search for the perfect neighbourhood cafe. Her companion throughout is the city of Paris - a character unto itself - which never ceases to fill her with wonder, surprise, and delight, and provides her with the spiritual strength to succeed in establishing her new life.